Prince Harry pays tribute to victims of the Manchester Arena bombing in his remarks at a garden party honouring his father, Prince Charles. 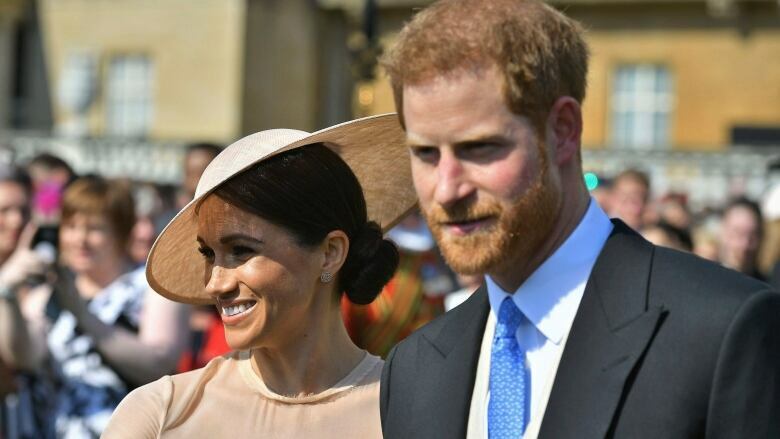 Prince Harry and Meghan, now known as the Duke and Duchess of Sussex, appeared at their first official royal event as newlyweds on Tuesday. 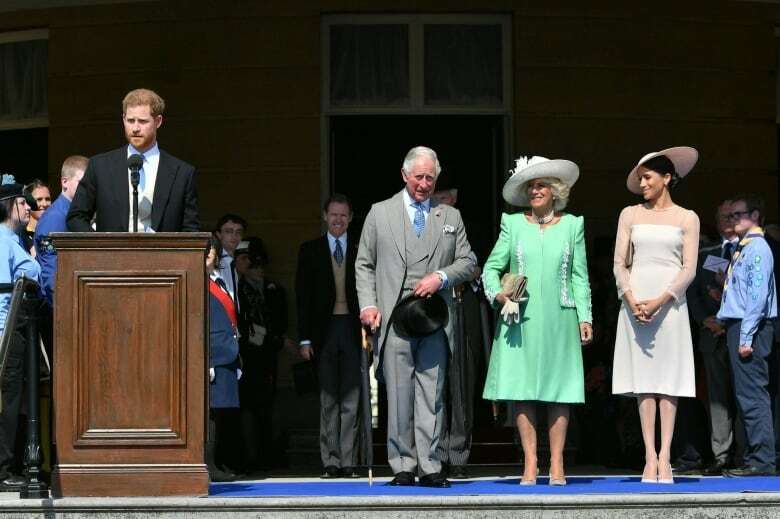 They attended a Buckingham Palace garden party honouring Harry's father, Prince Charles, for his many years of charitable works. The event is part of the celebrations marking Charles's upcoming 70th birthday in November. Harry made a speech to pay tribute to his father, but began by remembering the victims of the Manchester Arena bombing that happened a year ago today. Harry thanked the emergency services staff who helped those injured in the attack, which killed 22 people. "Our thoughts are with those who lost loved ones and those still dealing with the experiences of that night," he said. He also noted that his brother, Prince William, was absent from Charles's celebration because he was attending the memorial in Manchester. More than 6,000 people involved with charities supported by Charles attended the party in the vast palace gardens. Harry praised his father's decades of charitable work. "Pa, while I know that you've asked that today not be about you, you must forgive me if I don't listen to you, much like when I was younger," Harry said, drawing laughter from the crowd. "It is your selfless drive to effect change, whether that is to improve the lives of those who are on the wrong path, to save an important piece of our natural heritage or to protect a particular species under threat … which William and I draw inspiration from every day," he said.